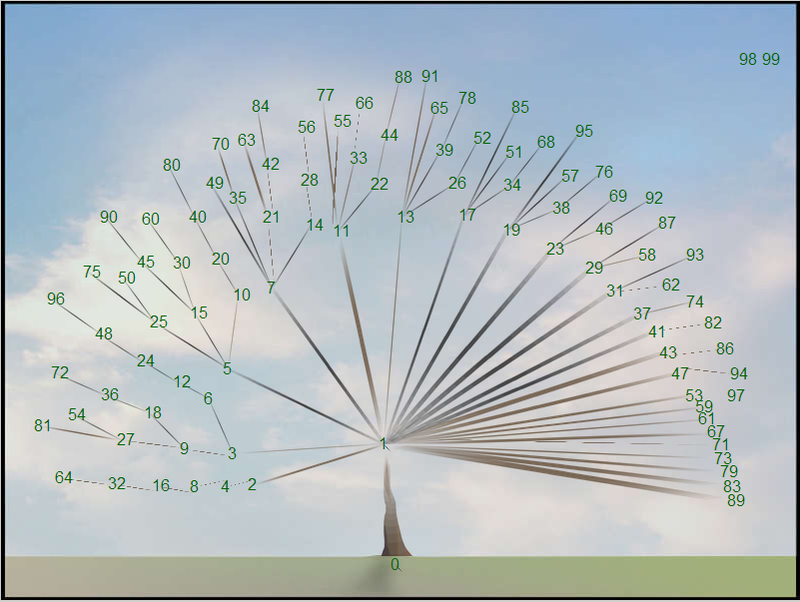 The Composite Number Tree by Jeffrey Ventrella is the latest animation I have discovered recently through Colleen Young’s Mathematics, Learning and Web 2.0. The animation consists of numbers “falling from heaven,” each of which attaching itself to its greatest divisor. The prime numbers attached themselves to the main trunk. The Composite Number Tree can be used as a tool for discussing about prime numbers. It also shows some interesting patterns. Please visit the Composite Number Tree website to read more about it.